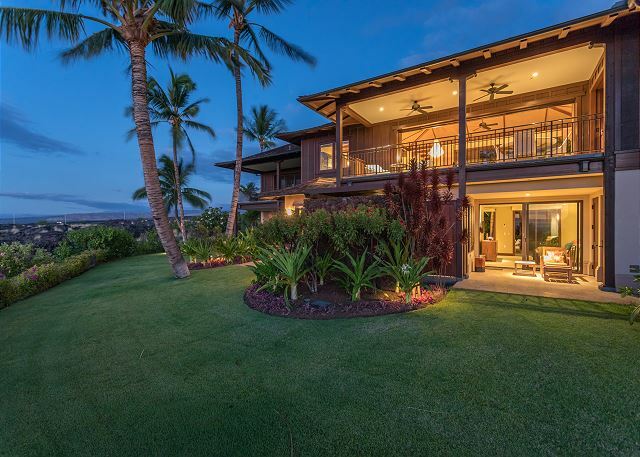 Haliipua Villa 104 – Luxury Vacation Homes, Inc. 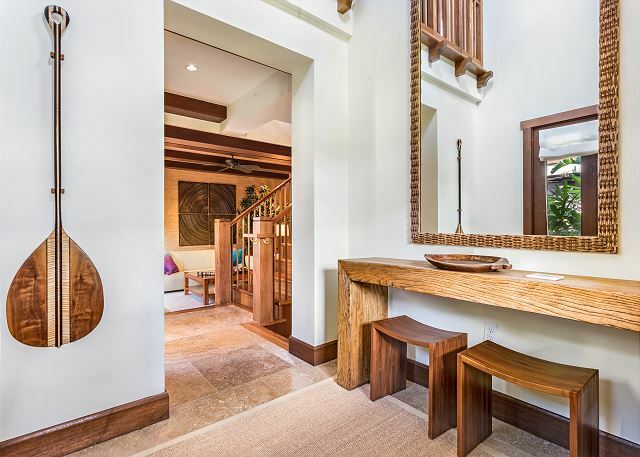 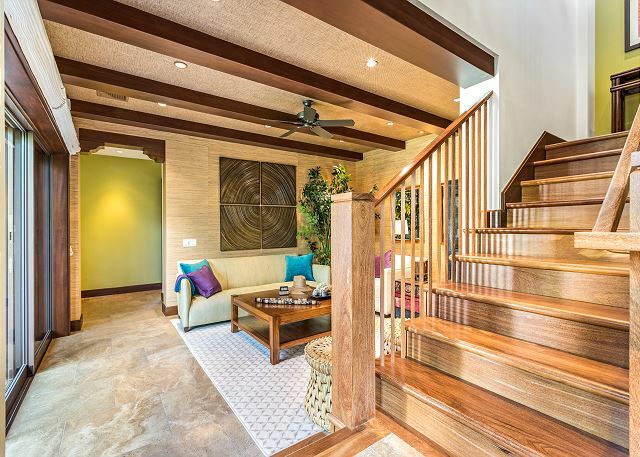 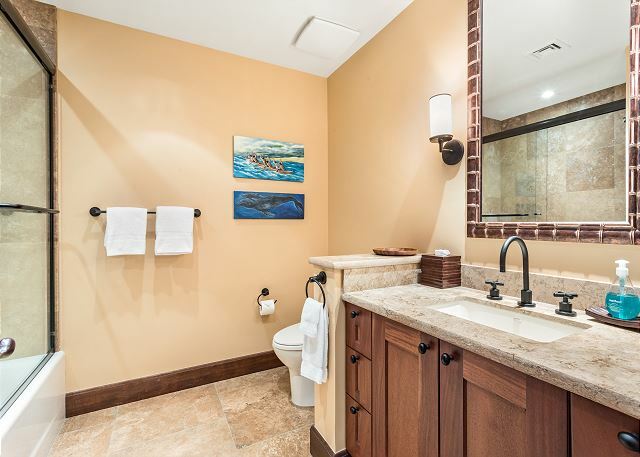 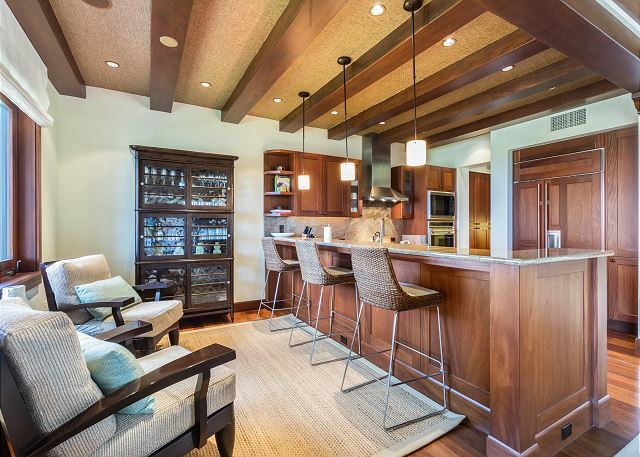 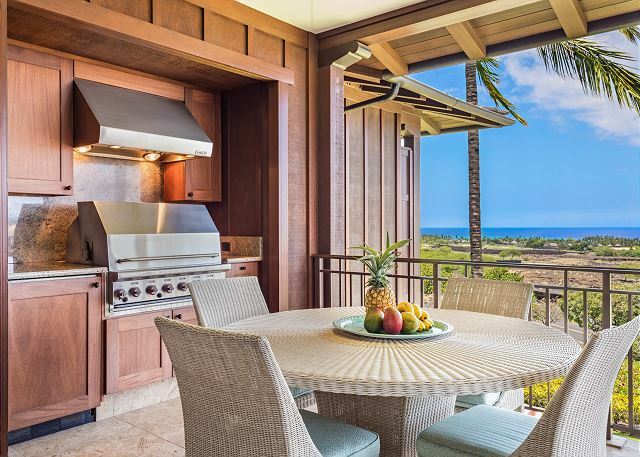 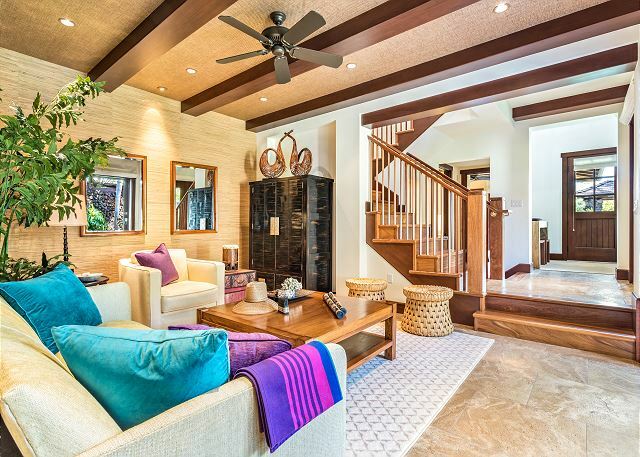 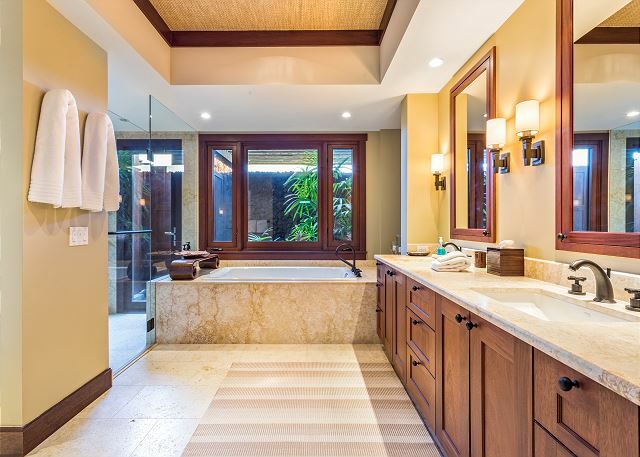 Built in 2009, Haliipua Villas are the newest generation of multi-family villas at Hualalai offering an array of designer finishes throughout the home. 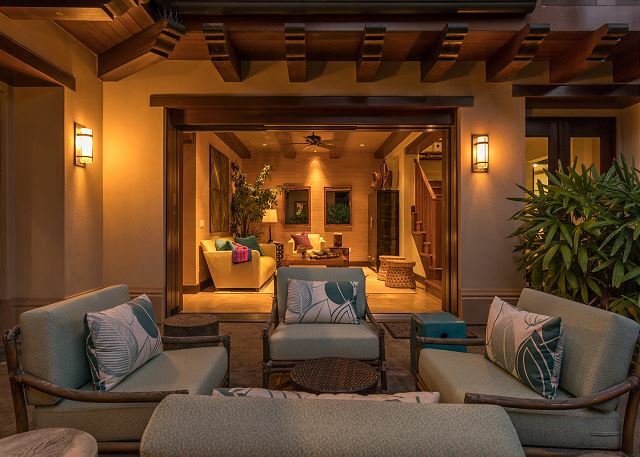 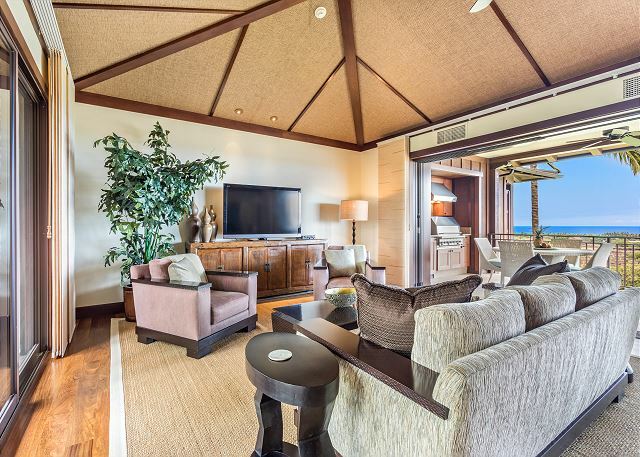 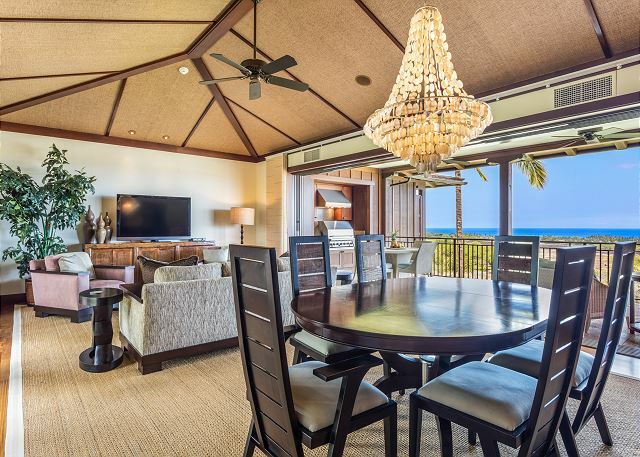 Special features include luxurious mahogany finishes, island-inspired ceiling treatments, enhanced lighting systems, built-in lanai kitchen/barbecue and 2 sumptuous lava rock garden showers. 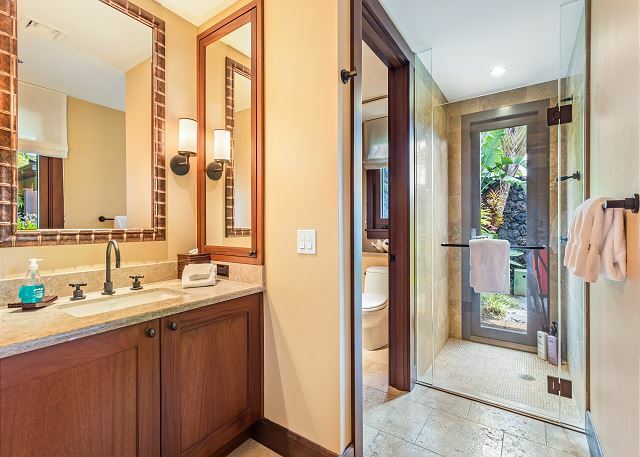 The property features 3 bedrooms and 3.5 baths on the ground level with a spacious living area on the upper floor. 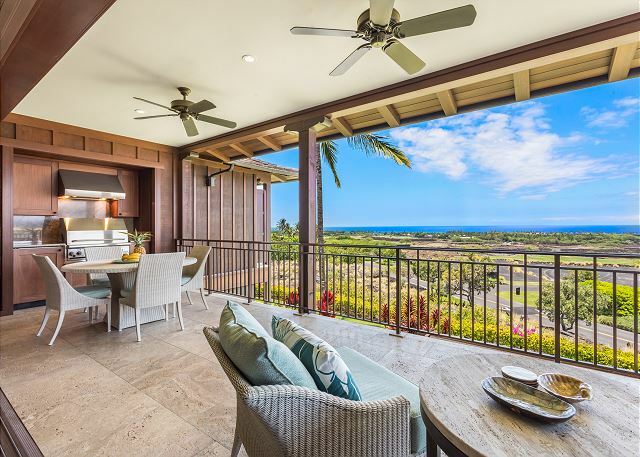 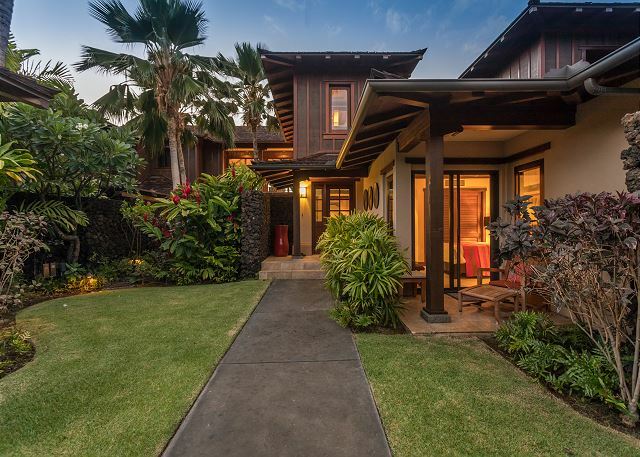 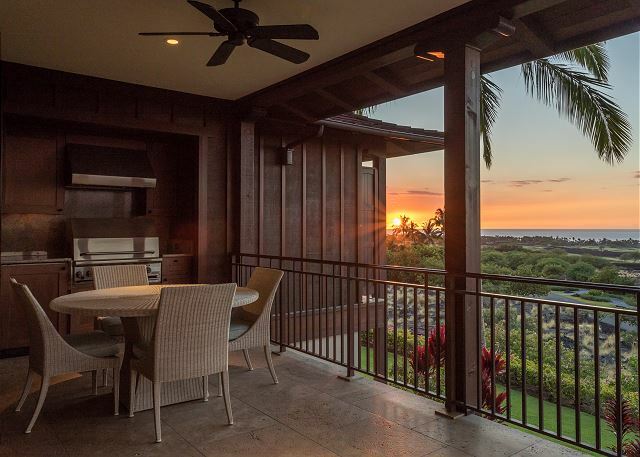 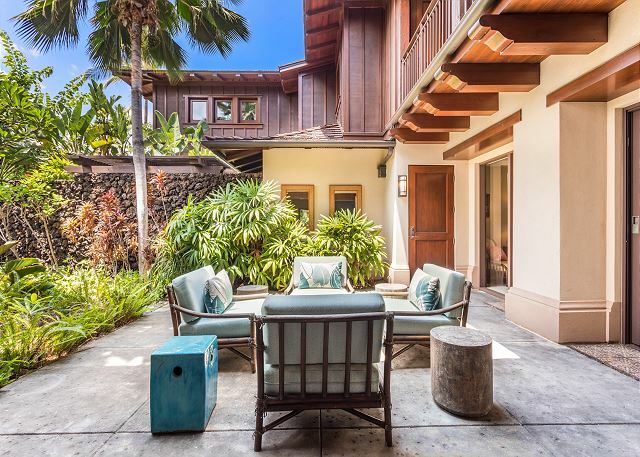 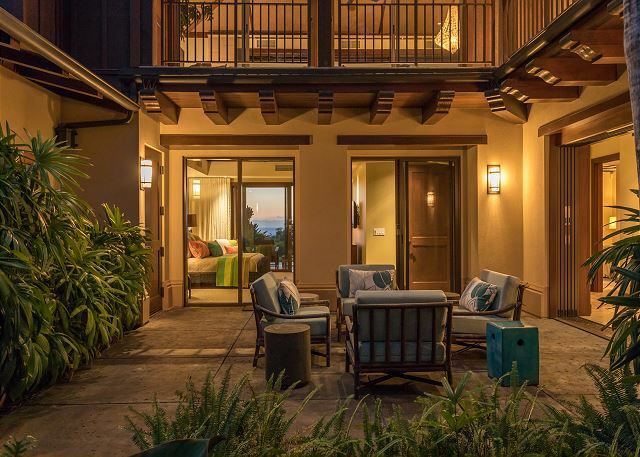 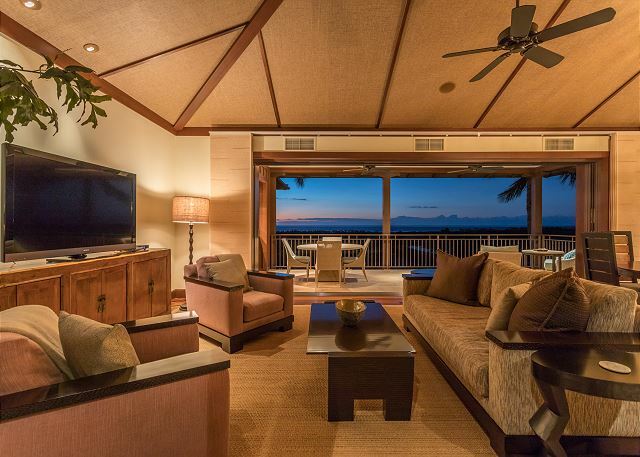 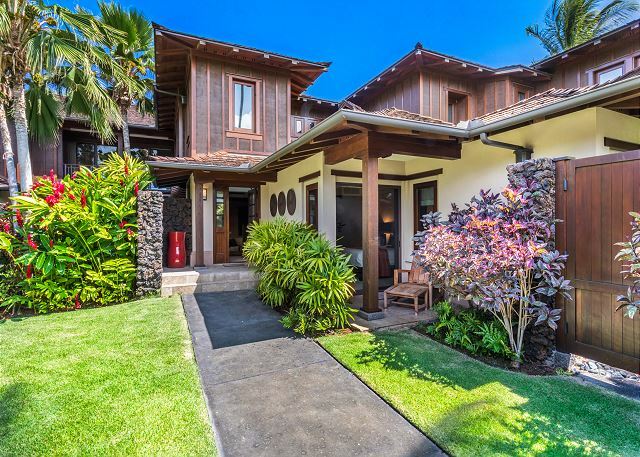 Panoramic ocean, coastal and sunset views are enjoyed from a large, covered, ocean-facing lanai with Hualalai and Mauna Kea views available from the mountain facing windows of the villa. 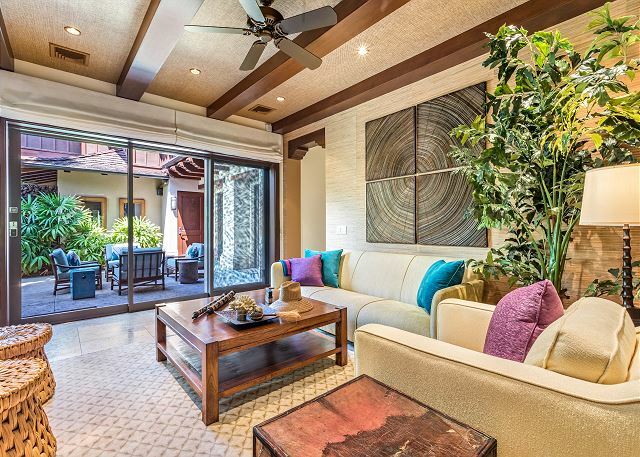 A “bonus” family room is situated on the ground floor leading to a tropical-landscaped courtyard with bubbling water feature. 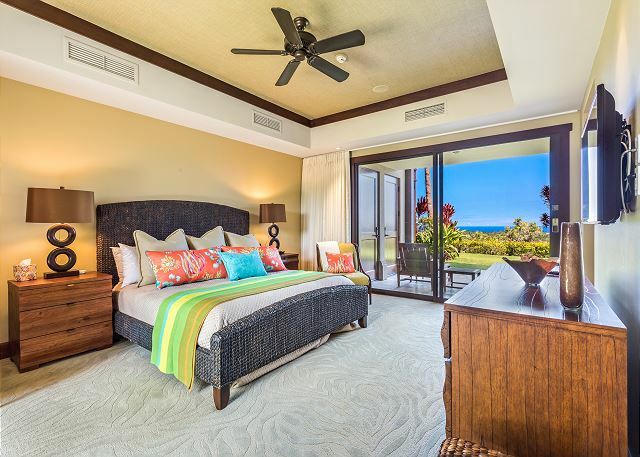 The king-bedded master bedroom includes walk-in closet and large ensuite bathroom with outdoor shower garden. 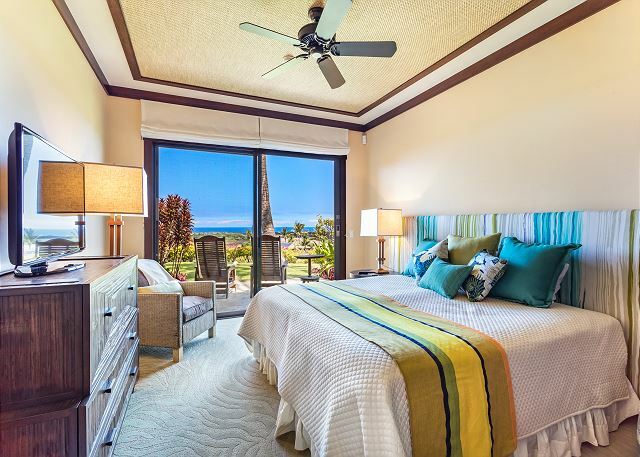 Bedroom 2 is an ocean view room with twin beds that may be converted to king, and ensuite bath. 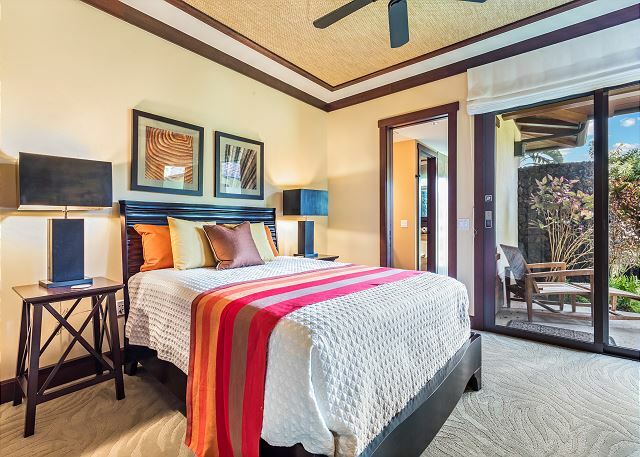 Bedroom 3 is a “second master” with large, ensuite bath and shower garden of its own. 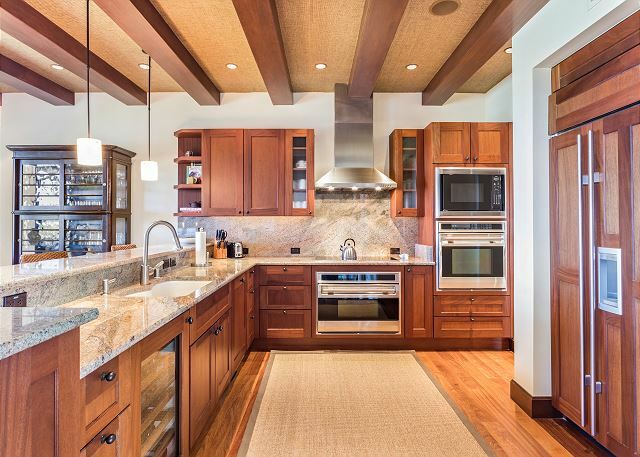 The kitchen is well equipped and is open to a sitting area and “great room” with high, vaulted ceilings and wonderful ocean views. 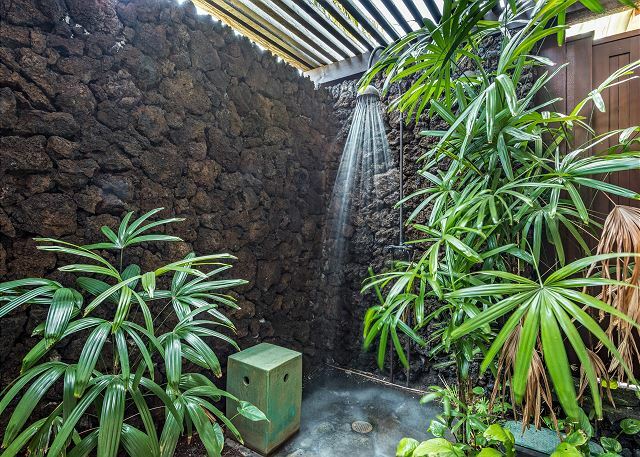 The villa is fully air-conditioned with zone controls. 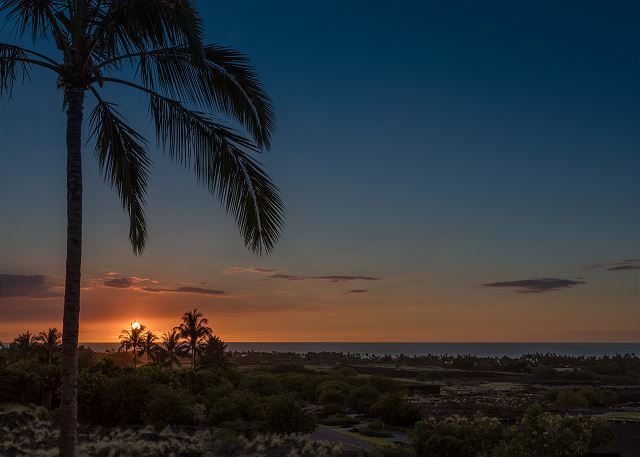 Two golf carts can whisk guests off to the Sports Cub & Spa and Four Seasons Hotel in just a few minutes or enjoy a leisurely stroll along the Jack Nicklaus-designed Hualalai Golf Course = excellent, central location in the Resort!